Platinum relays that it offers the best spectrum at the best price with the most complete warranty on the market today. Platinum states it is proud to be American based and owned and also outlines that its LEDs are manufactured in the USA by BridgeLux. This LED grow light review has been designed to help you find the best LED grow light on the market. It is a comprehensive look at the P150 from Platinum LED. Bridgelux is based in San Francisco, California and was recently identified by the San Francisco Business Times as one of the Bay Areas largest private companies. 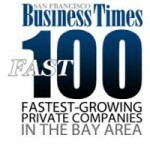 On the most recent designation, Bridgelux was rated at 92 out of 100 Bay Area companies. Bridgelux’s patented light source technology has been developed to replace other traditional technologies like fluorescents and incandescents. Bridgelux has created partnerships with Toshiba, Epistar and Kaistar and is marketed worldwide. Having a reputable company stand behind the product and technology is a big plus for the Platinum P150 LED grow light. BridgeLux identifies itself as as the first to develop a mass production process for growing LED chips on silicon substrates. The manufacturer of LEDs also reports that it was the first to develop Chip-on-Board (CoB) architecture. BridgeLux has been designing and developing their own LED chips since 2004. Over the last five years, BridgeLux has refined and introduced new chip technology approximately every six months and has designed eleven generations of LED chips. Having a history behind the design and developing story is another plus for BridgeLux and therefor a plus for Platinumled which utilizes this technology. The P150 LED grow light is one of the newest 4G Platinum Series grow lights available. The P150 consumes about 50 watts of actual power and produces very little excess heat. Platinumled promotes that the light provided by their grow lights provides 100% usable light that is specifically tuned in to the light wavelengths plants need to optimize the photosynthesis process. Many LED grow lights produce a “recipe” of light wavelengths, and the Platinumled design produces an efficient blend of 11 different bands of light spectrum. The P150 is equipped with a 60 degree lens plus 90 degree secondary lenses. It is also equipped with aluminum cooling heat sinks and 2x high speed whisper quiet fans. Platinumled lists the average per watt price of their grow light LEDs at $1.89. The lower per watt average price of the Platinumled devices is a plus as it will help to keep costs down and efficiency high. Each of the wavelengths that the P150 offers can support portions of the plant’s grow process. 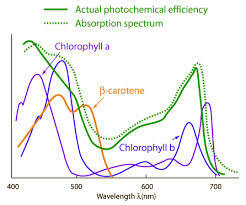 Ultraviolet light between 315nm and 400nm can encourage coloring and thickening during the vegetative process and the wavelengths between 400nm and 430nm marks the beginning of the chlorophyll absorption process. The visible spectrum blue light marked by 430nm to 470nm helps to maximize the photosynthesis process and is considered a range of peak absorption of chlorophyll. The blue light supports the vegetative process. The Visible Red Spectrum range, often specified between the 640nm to 660nm range, works to maximize the chlorophyll absorption to encourage bloom. This range is specifically helpful for plant flowering. The 760nm wavelength continues to promote the flowering process. The fact that the P150 includes such a broad range of wavelengths is another plus for the device. Many grow lights include multiple wavelength ranges, but in my research, this Platinumled grow light includes more than many other comparable grow light devices. This aspect helps to optimize the process of photosynthesis which ultimately leads to enhanced outcomes for the grower. Given a six inch height above the plant, Platinumled proposes that the PAR value in µmol (µmol is a measure of the photosynthetic photon flux) is 1800. The PAR value is listed at 910 when the height of the light is at 12 inches above the plant. Given an 18 inch height above the plant for the P150 grow light, the PAR is listed at 535 and the the PAR is listed at 340 when the P150 is hung at a height of 24 inches above the plant. 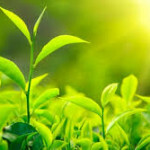 PAR stands for photosynthetically active radiation and it represents the solar radiation in nanometers that photosynthetic organisms, like plants, are able to utilize during the process of photosynthesis. PAR value is enhanced on the P150 LED grow light product due, in part, to the 90 degree secondary light focusing lenses. The P150 is set up to enhance the photosynthesis process during the vegetative and flowering stages of a plant’s grow process and is designed to provide a footprint of light that covers approximately 15.75 square feet. It should be noted that secondary lenses can act to focus the light being emitted from the device which affects the overall footprint of light coverage area. 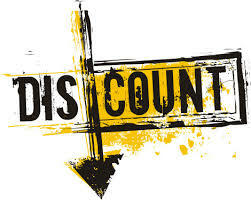 Platinumled offers consumers discounts for buying more than one product at a time. The price listed for the P150 is $229, but the price can be reduced by up to 10 percent if one decides to buy in bulk. If 6 or more P150 products are purchased at a time, then Platinumled offers the unit at a 10 percent discount. 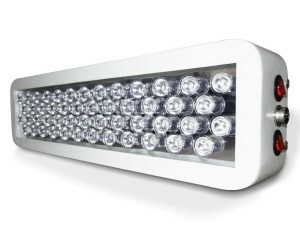 If 3 to 5 units are purchased at a time, then Platinumled offers the grow light unit at a 5 percent discount. Shipping rates in the USA are free, but worldwide shipping rates vary by area. I have found that it is often helpful to contact customer support and ask for a specialist to assess your needs and present functionally appropriate options. Depending on your space, the plants you plan on growing, and other case specific variables, the type of LED grow light and the number of LED grow lights one might need to reach successful outcomes will vary. Platinumled offers a 5 year warranty for their products. The company offers a 5 year warranty 90 day satisfaction guarantee. The 5 year guarantee is USA based and is automatically active once the Platinumled unit is purchased. The company will also refund the purchase price if the buyer is not satisfied with the Platinumled grow light product within the first 90 days of ownership. one should keep in mind that the 11 band spectrum supports optimization of the photosynthesis process. Price – the P150 is less expensive than over half of the most popular products reviewed by growbigorgrowhome.com. The P150 manipulates light with a primary and secondary lens. Secondary lenses can manipulate the light further and redirect the light. The light being refocused by a secondary lens can sometimes intensify the light and boost the PAR values, but it should be noted that the PAR value boost could be for a less broad range. This being said, the higher PAR value for a specific area could be exactly what a particular grower is looking for and therefor, this con is subjective and ultimately needs to be determined on a case by case basis. The actual power draw is on the lower end, but the lower power draw makes for a product that is more affordable for more growers. I scoured the internet reviewing the online opinions of the grow light to see what a majority of the people that have purchesed and used the grow light are saying. I found that the majority of opinions out there on this specific LED grow light were positively skewed. One five star review highly recommends the P150 LED grow light if the buyer is growing anything indoors. One 4 star review reports that the light could have been larger but is still working as expected. The one star review that I found relays that the light is not recommended and lists the price as too expensive. It should be noted that of all the grow light devices reviewed on this site, the P150 is less expensive than the majority listed for review. Although I listed several opinions that were diverse in nature, the overall general consensus online for the P150 Platinumled grow light is a positive one. My hope is that this LED grow light review helps you to find a top LED grow light that fits your needs so that you can grow big at home!